Feel free to ask photography, personal, silly, whatever questions. I will answer them! 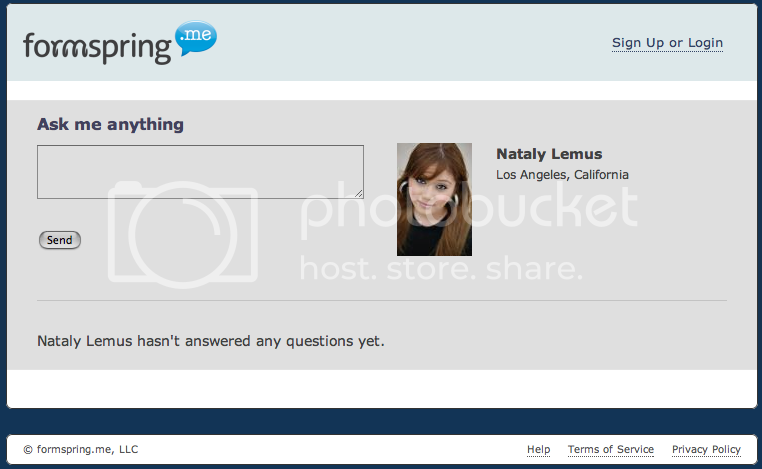 If you have a formspring.me account, let me know and I will follow you. I will post a lit of the people I follow on formspring. I've been reading a lot this week on various blogs about formspring. I think it's kind of cool of you and all these people to open yourselves up to questions. Will you post some of your most fun questions on your blog?